If you recall, the kitchen reno at Flip 5 was slated to be a few weeks long. Several months later, I finally got to reveal to you the finished product. And I’m just as in love with that kitchen today as I was when I initially envisioned it. What I’m never in love with in this house flipping journey is all the unforeseen obstacles I have to go through before I get to the finished product. And the kitchen reno had a lot of unforeseen obstacles. A fired crew of workers. And just when I thought it was done, my freshly painted kitchen cabinets started chipping. They didn’t look new after only two weeks. 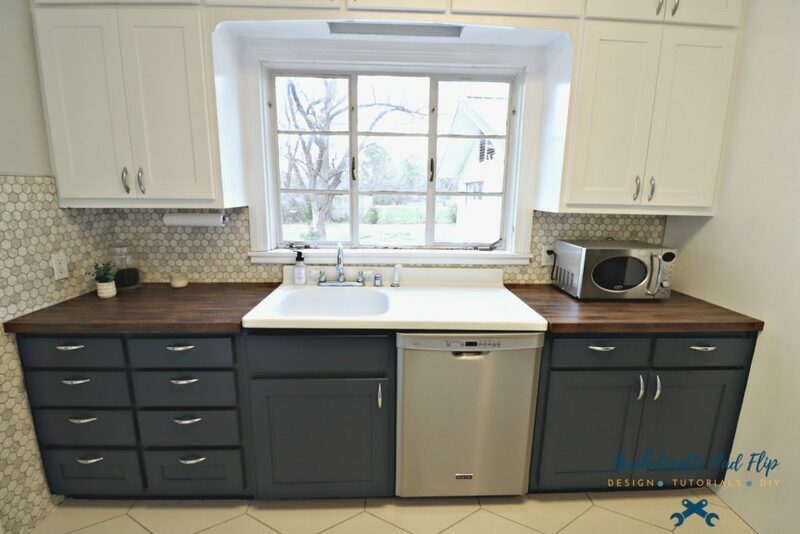 If you recall, I chose two-tone cabinets. This is the first time I’ve done that, and I love them. What I didn’t love was how they looked beat up after two weeks. So what went wrong? I follow a fellow Arkansas blogger on Instagram, Painted by Kayla Payne. She creates phenomenal transformations with paint, so before the kitchen reno started, I picked her brain on what product I should be using. She was quite adamant that I needed to use PPG’s Breakthrough paint because of its durability. While it’s not budget friendly ($100/gallon), she swore it was the best paint for durable wear and tear. So off I went to Spectrum paint, and the sales guys were insistent I did NOT want Breakthrough paint. I think that decision rested heavily on the fact that they didn’t carry it in the store, and they’d have to ship it from another store. They assured me that Benjamin Moore’s Advance paint was comparable to the Breakthrough. So off I went with Advance paint. Not Breakthrough. 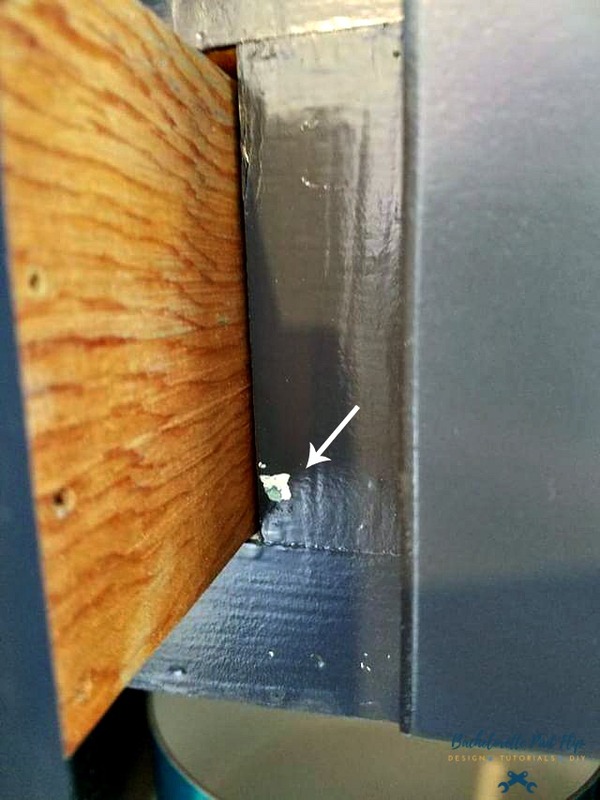 Almost immediately the paint began chipping– and not just where the drawers met the base of the cabinets. They were chipping everywhere. I could literally take my nail and run it across the cabinet and scrape the paint off. After the first chip or two, I knew I had a problem on my hands. I’ve had this experience before with painted cabinets which is why I consulted Kayla. I wanted these to be durable. And despite Spectrum’s promoting of BM’s Advance’s features, it did not hold up to two weeks of normal wear and tear…by just ONE person. I was so frustrated with myself and the situation. After paying good money, I was sitting on cabinets that looked sub-par. I didn’t know what to do or how to fix the situation, and I had the Citiscapes photographer coming to photograph the kitchen. When I had purchased the Advance paint, the sales guy had mentioned it had a warranty, so my next step was to march right back to Spectrum Paint with pictures of my cabinets, and demand a refund…or something. 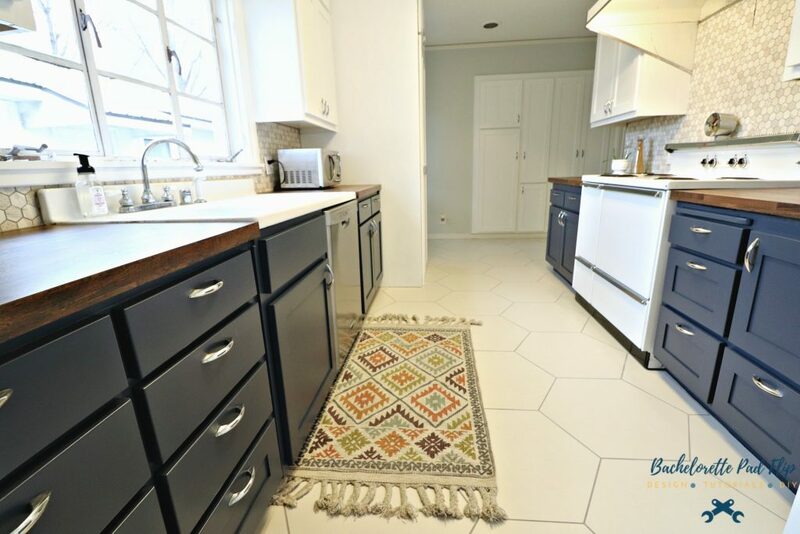 Initially, the guys were not cooperative–they tried every which way to blame my painter, but finally the sales guy I had dealt with on my first visit fessed up that I had really wanted the Breakthrough and he talked me out of it. So after several minutes of back and forth, they ordered me new paint….in Breakthrough instead of Advance! And they didn’t charge me for the new paint. While I received free paint, I wasn’t going to receive free labor. 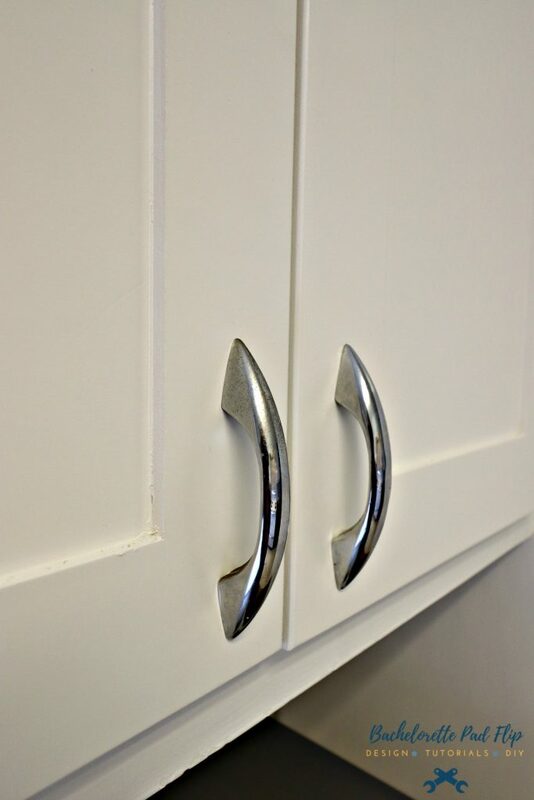 So while I had already paid my painter to paint the cabinets once, I had to hire him to paint the cabinets…again. It was not his fault, and I wasn’t about to ask him to work for free. We did switch up the process of painting though. Like last time, he took the doors with him and sprayed them in his shop, but instead of bringing them back after a few doors, I wanted him to keep them for at least two weeks untouched so they could cure. Paint needs to cure, and I wanted the new coat of paint to be cured as much as possible. That, combined with the Breakthrough, did the trick! I see now why the Breakthrough is $100/gallon. It’s worth every penny. 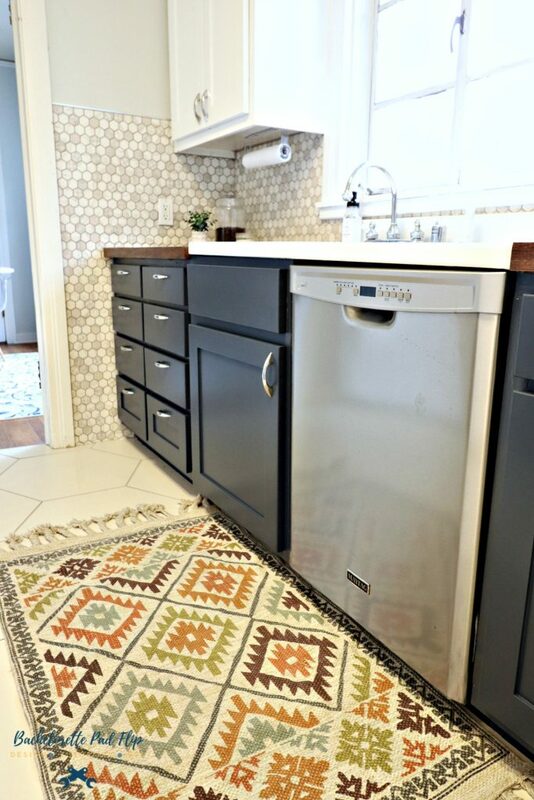 It’s not necessarily designed for cabinets– it’s designed for more high traffic places like floors, but I now swear by it for cabinets! I may have had to spend another $700 in labor, argue with the paint guys at the store, and live in a construction zone for two more weeks, but I assure you, it was worth it! I am now months removed from this debacle, and the cabinets haven’t chipped, flaked, or scraped. And I’m calling that a win! Lesson learned the hard way! But now I’ll always use Breakthrough paint! Thanks for this write-up! 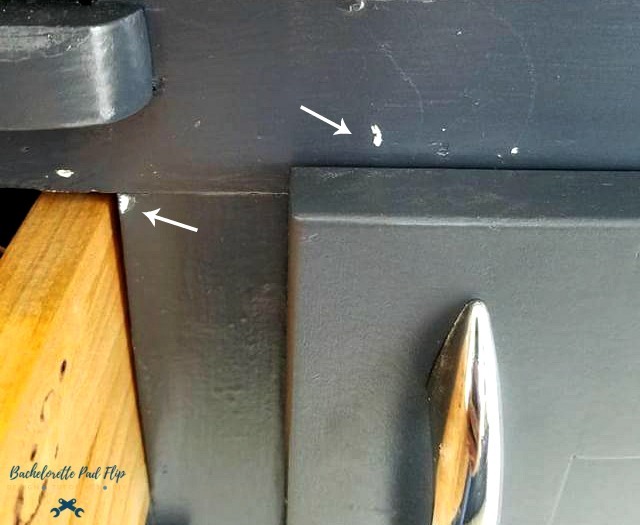 Painted my cabinets, possibly with the same paint line, and have seen chipping in odd places & crazing – more on the cabinet cases than on the doors & drawers. Considering painting some vinyl / tile floors – may have to try the Breakthrough paint on those. I swear by it now!